For more than 160 years, Teatro Verdi has been the largest Italian theater in Tuscany. For all these years it has kept many original features in tact and is known for being a popular entertainment space in the center of the city presenting all kinds of shows. Starting as the Teatro Pagliano, the theatre presented Verdi’s opera Il Viscardo, which would later become Rigoletto at its grand opening on September 10, 1854. This new theater that took the place of a multi-use structure (equestrian circus, music hall, outdoor amphitheater) was built on the remains of the 14th century Stinche prison. It was commissioned by entrepreneur Girolamo Pagliano, a former baritone, who was known in his time for the famous “Long Life Center” syrup (Centerbe di lunga vita). In the years following the grand opening, many patriotic and humanitarian demonstrations followed because of the sensitive political time in Italian history. Including the first memorable theatrical collaborations with the great performers of the nineteenth century and exceptional audience members such as Vittorio Emanuele II. 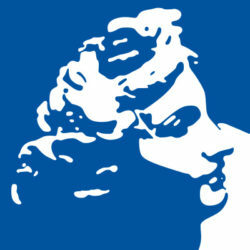 After changing owners it officially became Teatro Verdi in 1901. Following WWI it opened with the popular opera genres and under the new owner Castellani, collaborations with the greatest actors of the twentieth century began. With the fabulous 1960s, the theater housed the international stars of modern music, jazz, pop and rock, and celebrities of modern theater and magazine. The theatre continued to be used for a diverse number of reasons including the performances of the Maggio Musicale Fiorentino, film reviews, and the ballet. But along with the bustling use of the theatre came problems as well particularly the flood of 1966 and the required work to adapt to the changing security regulations. In January 1998 Teatro Verdi became a member of the Fondazione Orchestra Regionale Toscana, thus becoming the official venue for performances and concerts of the ORT. All while maintaining the diversity of its theatrical endeavors and being the image of an open cultural space, lively in programming and attentive to the needs of its large audience. 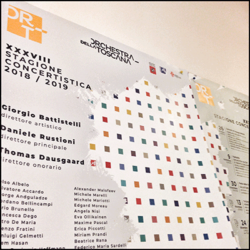 For the 150th anniversary of Teatro Verdi (October, 2004), the ORT Foundation implemented a series of renovations aimed at improving its acoustics, aesthetics and public appearance. The flooring of the main hall and gallery was completely rebuilt in wood and the new, all red armchairs are specially designed and made by Poltrona Frau. Verdi, to this day, offers a very specific programming to ensure quality and diverse performances thanks to the partnership with Antico Teatro Pagliano that manages the traditional theatrical season, and PRG which organizes pop and rock music concerts. In the last several months the theater has completely updated its website www.teatroverdifirenze.it, which is now clearly divided into two sections. One highlights the calendar events to give the visitor the information on the shows and performances and the other deepens the knowledge and history of this event space by hosting a blog. And for the last four years, the ORT Foundation has decided to use the Verdi foyer space to encourage the work of young contemporary artists working in our region to feel recognized and valued. So far, performances have been hosted by Exit Enter, Blub The Artisan and Jamesboy and Nijaz.